Winnie & Walter is running a new monthly feature called Rerun. This feature will basically focus one of the older product with month long sale of that product and a challenge at Winnie & Walter Blog. This month we are focusing on Parentville Extras stamp set. Shay and Julie along with some of the Winnie & Walter design team members will share some gorgeous projects using this stamp set on Winnie & Walter Blog. Here is my project using Parentville Extras stamp set. 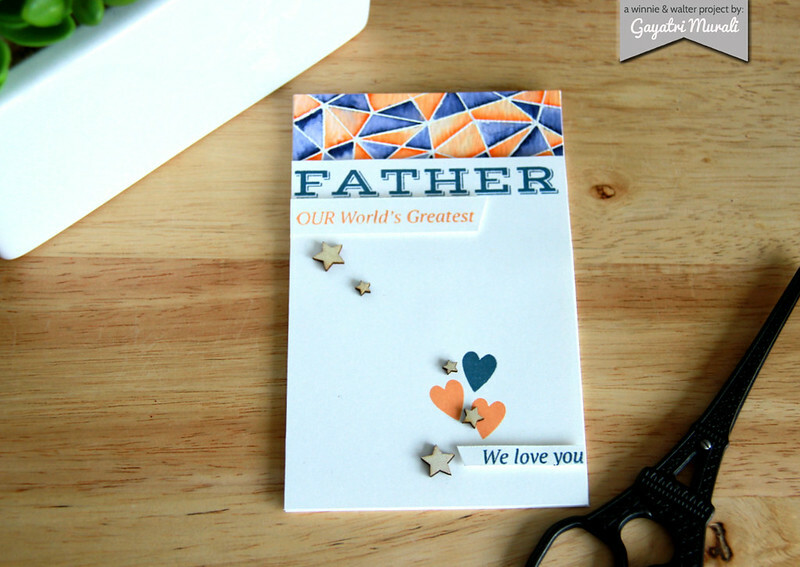 I love the navy blue and orange colour combination for a Father’s Day card. 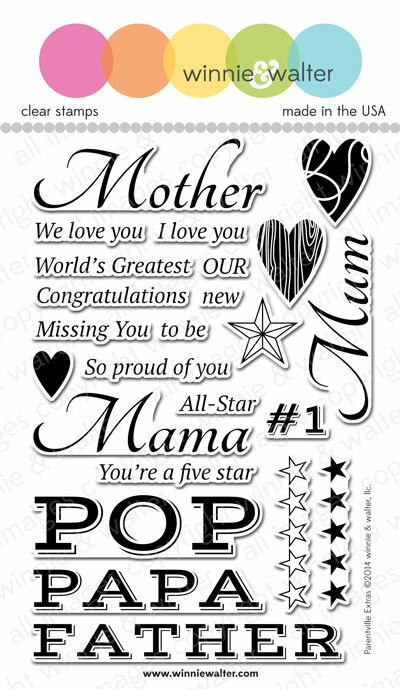 So I have used this combo and coloured Multifaceted stamp set for the background. I then stamped the sentiments and hearts from Parentville Extras stamp set on the front panel using the same colours. Finally accented with some stars wood veneer from Pretty Pink Posh. I made the card narrow and tall intentionally to keep in with the world’s greatest sentiment and also to fit in the background stamp on the top . 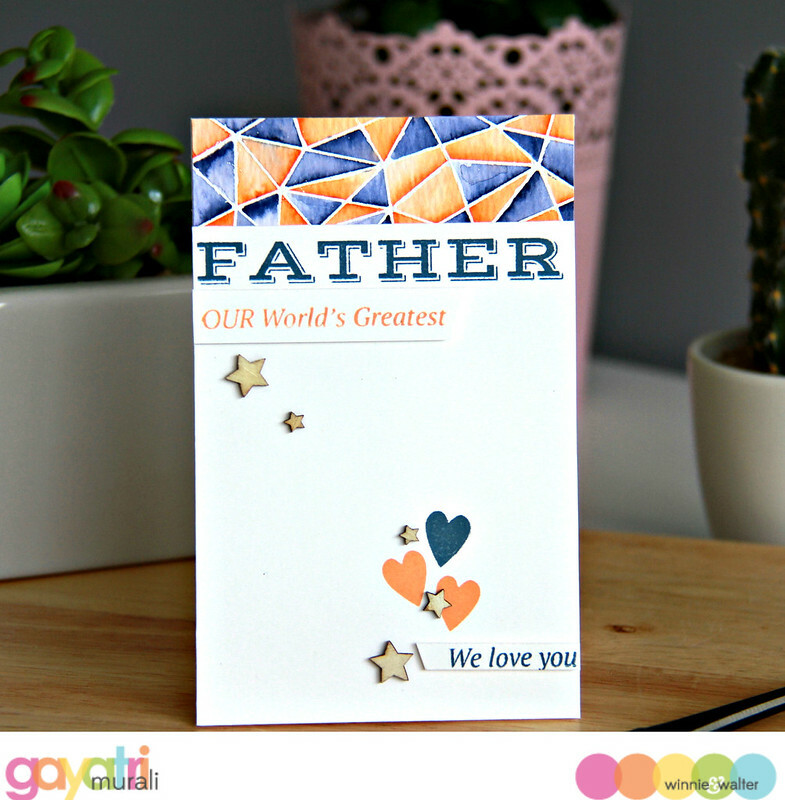 Check out Winnie & Walter Blog for more details on this feature, more inspirational projects using Parentville Extras stamp set and also details of the challenge. Wonderful card ! I loved the colors,design and the triangular pattern ! I absolutely love your card ..Its stunning ! !